dbForge Studio for MySQL has the Database Designer functionality that allows you to build and view the structure of your database using the diagrams. 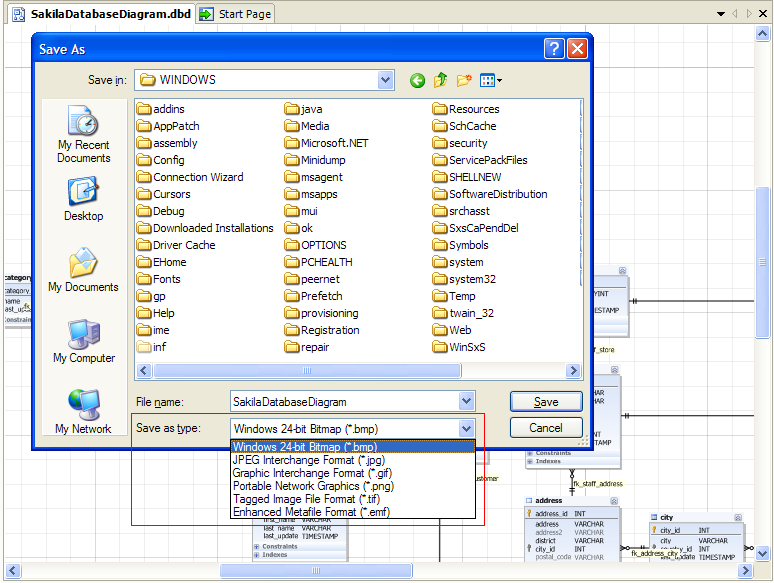 You can read more about it in Getting Started with Database Designer article. 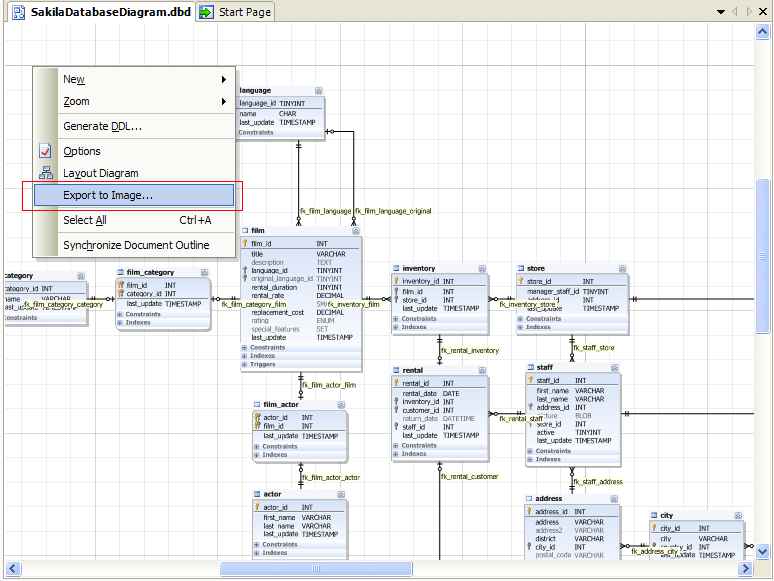 Database Designer also can save a MySQL database diagram as an image. 1. Right-click on the diagram and select “Export to image…”. 2. Choose one of the image formats to which you want to save your diagram. 3. Save the diagram as an image for the future use. Suppose you want to save the created database diagram as a image to paste it into a document, but your diagram has a large size. While saving it into JPG, BMP or PNG format, you see the “low memory” error notification. It occurs because bitmap generating engine needs contiguous memory area and even when using 4 GB of RAM it is not always possible to allocate such an area because of memory fragmentation. 1. Export the diagram to the vector format (emf). 2. Try to restart the application and export the diagram again. We hope this will help you save large database diagrams as images.